This comprehensive textbook addresses one of the major public health concerns of our era – obesity. 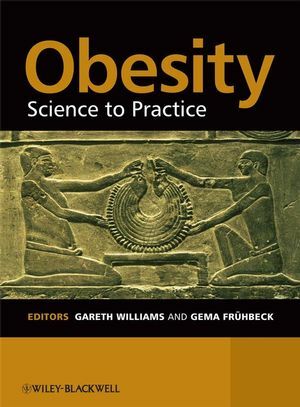 Clearly and simply, Obesity: science to practice provides a balanced, coherent account of obesity: how to define and measure it, its epidemiology, the physiological basis, associated diseases, how to assess, manage and treat it, and also strategies for prevention. The book is generously illustrated, including graphs and flow charts for easy reference. The chapters cite key references so that interested readers may pursue a given topic in more detail. Well presented and thoroughly edited by one of the leading experts in the field, this is the textbook of choice for anyone working in obesity. Gareth Williams, MD, ScD FRCP Edin, Professor of Medicine, University of Bristol, Southmead Hospital, Bristol, UK. Gema Fruhbeck, Department of Endocrinology, Clinica Universitaria and Metabolic Research Laboratory, University of Navarra, Spain.